During the winter, you want to make sure that your doors and windows are airtight even if you enjoy the occasional cooling breeze during warmer months. Otherwise, you furnace will just be blowing money out through those cracks. Check your window panes and storm windows for cracks and replace any that are damaged. Install those storm windows (and doors) if they aren’t installed year-round. 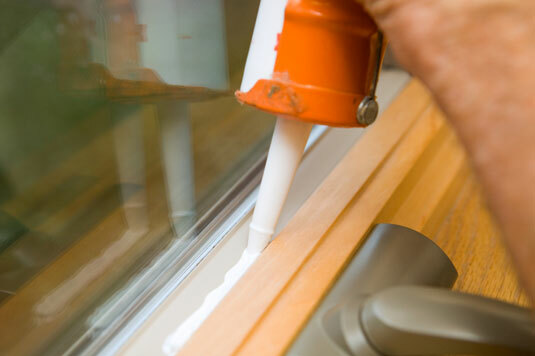 Caulk around your windows (or apply rope caulk), especially anyplace you notice a breeze slipping in. Apply weather stripping around your doors. This is fairly cheap to purchase at most hardware or do-it-yourself stores. Replace or switch out any door or window summer screens with their glass planes. Some people swear by window insulator kits, which are plastic coverings for their windows in the winter. You actually use plastic wrap and a blow dryer to shrink the plastic over the window and seals and then tape down the edges. This isn’t very attractive and can certainly block a lot of light. If you have a basement with windows, protect them with window wells. Some of these are simply hard plastic pieces that cost less than $20. Of course, if your windows are older than 10 years or are single-paned glass, you should consider replacing them for the energy-efficient ones currently on the market. Windows are not cheap, though, and you might have to replace only the most “needy” each year.